From the Euroglass Collection. 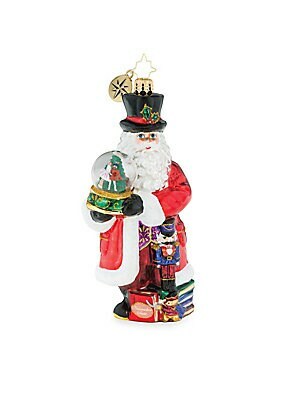 Beautifully handcrafted glass Santa ornament with extra sparkle. Glass Made in Poland SPECIFICATIONS Height, about 6". Gourmet Food & - Trim A Home. Christopher Radko. From the Euroglass Collection. 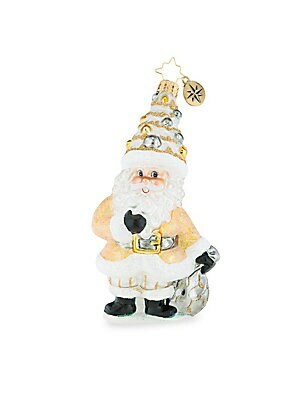 Cheery Handcrafted glass Santa ornament with extra sparkle. Glass Made in Poland SPECIFICATIONS Height, about 5.75". Gourmet Food & - Trim A Home. Christopher Radko. From the Euroglass Collection. 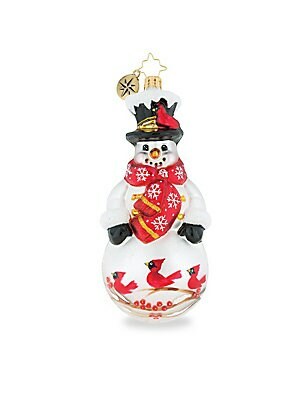 Cheery snowman ornament handcrafted with bright cardinals and extra sparkle. Handmade glass Made in Poland SPECIFICATIONS Height, about 6.5". Gourmet Food & - Trim A Home. Christopher Radko. From the Euroglass Collection. 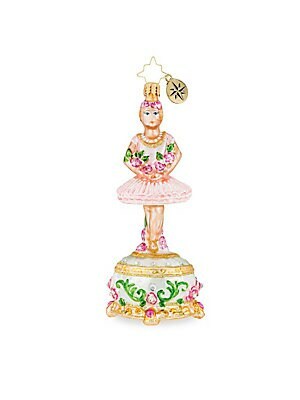 Dainty ballerina wrapped in florals exhibit Nutcracker elegance. Glass Imported SPECIFICATIONS Height, 5.5". Gourmet Food & - Trim A Home. Christopher Radko. From the Euroglass Collection. 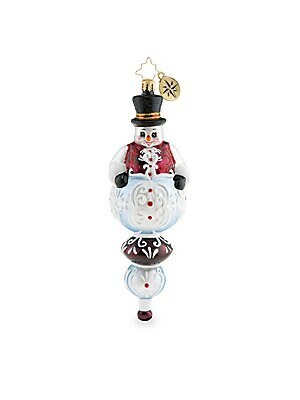 Eclectic snowman in a top hat makes for a quirky holiday ornament. Glass Imported SPECIFICATIONS Height, 7". Gourmet Food & - Trim A Home. Christopher Radko. From the Euroglass Collection. 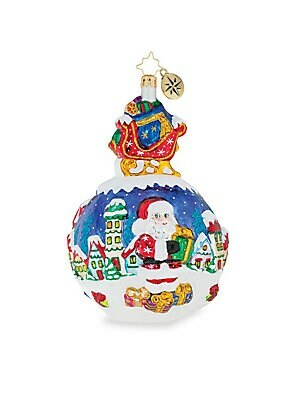 Kitsch bauble ornament flaunts idyllic Santa and winter wonderland imagery. Glass Imported SPECIFICATIONS Length, 6.5". Gourmet Food & - Trim A Home. Christopher Radko. From the Euroglass Collection. 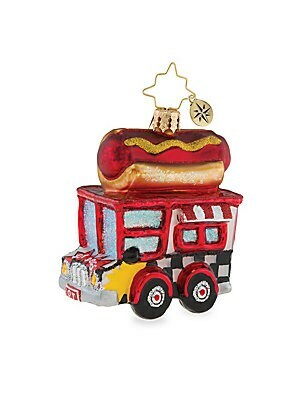 Shimmering hot dog truck ornament handcrafted from glass. Glass Made in Poland SPECIFICATIONS Height, about 3.5". Gourmet Food & - Trim A Home. Christopher Radko. From the Euroglass Collection. 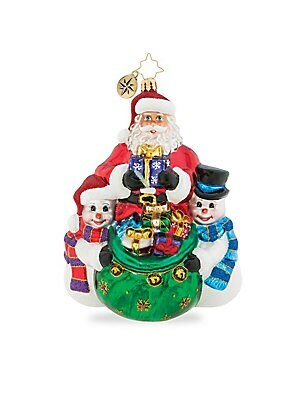 This vibrant ornament depicts a cheery Santa Claus with his adorable snowmen helpers distributing presents. Glass Imported SPECIFICATIONS Height, 7". Gourmet Food & - Trim A Home. Christopher Radko. 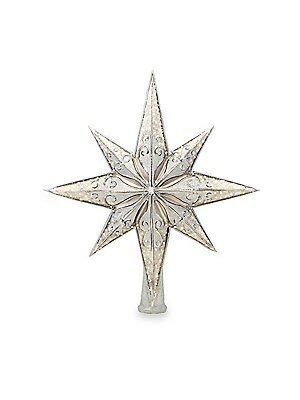 Glass ornament featuring astral sparkling design. Height, 14" Glass Spot clean Imported. Gourmet Food & - Trim A Home. Christopher Radko. 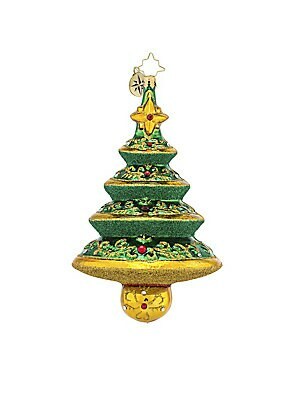 Glass ornament in wood burst holiday-inspired design. 5.5"H Glass Spot clean Imported. Gourmet Food & - Trim A Home. Christopher Radko.